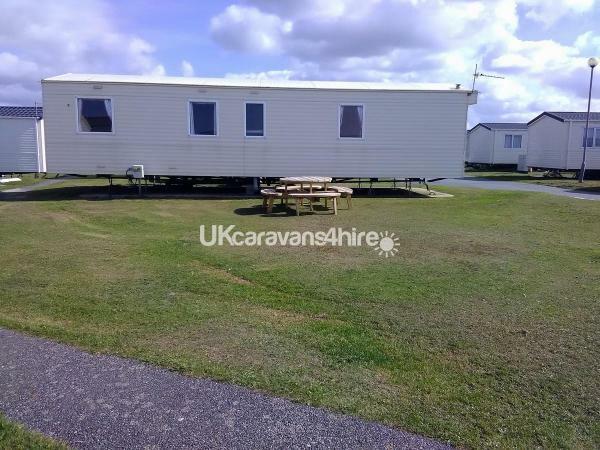 Additional Info: The caravan will come fully equipped, to include a microwave, fridge, crockery and cooking utensils, along with a 40" flat screen TV and DVD player, USB charge points plus a selection of board games. Duvets, pillows and covers are supplied, you only need to bring your own sheets and towels. A £100 deposit will be required at the time of booking, then a £100 returnable damage/deep clean deposit and the balance will be due 8 weeks before check in date. 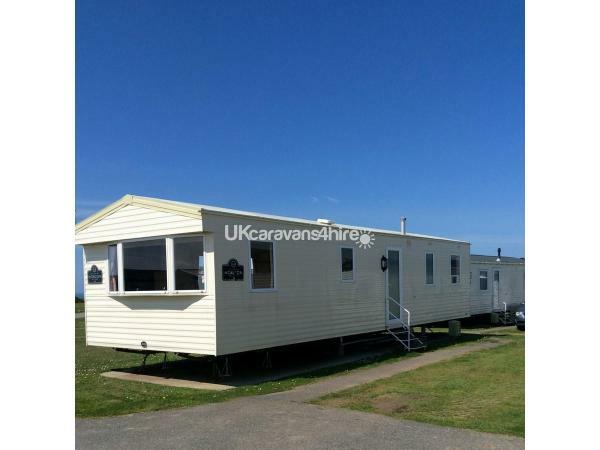 A beautiful static caravan available for hire on Haven’s Perran Sands in Cornwall, just off the coastal footpath. Situated in a quiet area of the park on a corner plot with some sea views and just minutes walk from the beach and main complex. 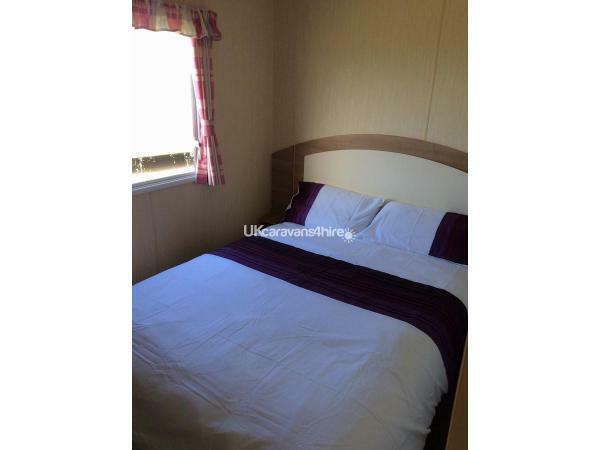 The caravan consists of one double bedroom and two twin rooms. Duvets, pillows and covers are supplied, you only need to bring your own sheets and towels, these can be obtained from the park for a small fee if you don't wish to bring your own. There is a spacious shower room with wash basin and toilet, along with a second separate toilet with wash basin. 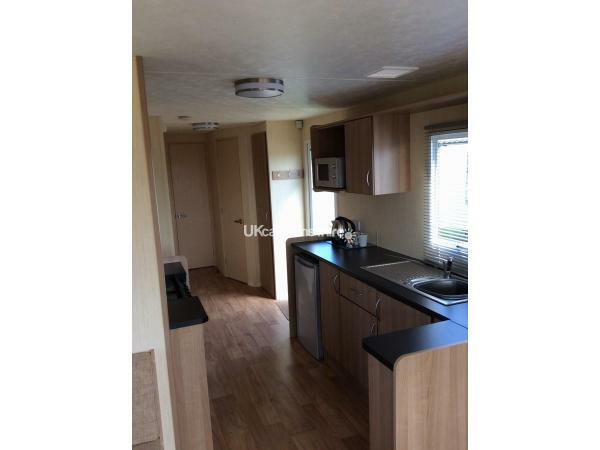 The caravan comes fully equipped, including a microwave, fridge, crockery and cooking utensils, along with a 40" flat screen TV and DVD player, plus a selection of board games. Outside there is a picnic bench to sit and enjoy the sun. There is also parking for several vehicles. Haven’s Perran Sands Holiday Park offers activities for adults and children alike, including: mini golf; swimming - indoor and outdoor pools with a lazy river; amusements; entertainment; restaurants; take-away food places, including Papa John's Pizza who deliver to the caravan; a well-stocked shop; bars with BT and Sky Sports; Wi-Fi available in certain areas. Entertainment passes are not included in the price of your holiday. However, these can be purchased separately on the main complex. Perranporth itself is a short walk away along the beach at low tide. Here you will find traditional Cornish shops, restaurants, bars and fabulous ice cream parlours. The bus service does pick up in the town and will bring you back up to the Holiday Park, or there is a local taxi service. Perran Sands is close to many major attractions, such as The Eden Project, The Minack Theatre, Flambards and of course, many fantastic beaches, coastal path walks and is an ideal base for Tunes in the Dunes and other music events at the world famous Watering Hole. Additional Info: Haven’s Perran Sands Holiday Park offers activities for adults and children alike, including: mini golf; swimming - indoor and outdoor pools with a lazy river; amusements; entertainment; restaurants; take-away food places, including Papa John's Pizza who deliver to the caravan; a well-stocked shop; bars with BT and Sky Sports; Wi-Fi available in certain areas. No reviews found. If you have recently stayed in this holiday home please leave a review, it only takes a few moments and will really help future guests when they are searching for holiday accommodation at Perran Sands.